Yes, I know! Who wants to think about Christmas when the Summer hasn't finished? Well, Diane and Bernice have been doing just that. Emails have been flying across the Atlantic Ocean (if that's what emails do!) to plan a creative Advent challenge. Which will take place in November! And yes we know that Advent is in December but we thought it would be good to put together the creative side of a Bible Study and an Advent Calendar that we can make in November, when things are hopefully less frenetic, and which can then be used through December. There will be 3 introductory blog posts here on October 23rd, 27th & 30th with detailed information to help you on how to respond creatively. There will be 25 daily blog posts starting on November 1st which will contain the Advent study, a worship video and a Bible passage that tells the story of Christmas. Diane has prepared the study. Each day there will be a short piece to read, a prayer and questions to ponder. You can use this in any way you wish. You can write in your journal, you can make an altered book, you can do art journaling. You choose your response to this study. Each day there will be a Bible verse to use to make a calendar. You can choose how you make this. Bernice will be showing how to make a tag calendar on her personal blog. Each day through November Diane & Bernice will be showing their response to the study and the calendar. We hope you will join us on this journey. To be sure of seeing every blog post please subscribe by email in the box at the bottom of the page. You may also like to join our Facebook group. Diane & Bernice are excited to be sharing this with you and looking forward to the start of our Advent journey together. I just love this idea! Thanks for sharing with me. This is a wonderful idea. How do I go about signing up? 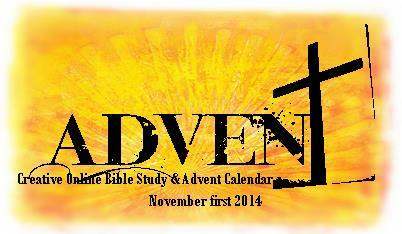 Dianne, I am so glad you are doing this Advent study this year. I followed one you did several years ago and have made a journal each year since. Looking forward to this one! Thank you. What an awesome way to honor the Lord and Christmas! Looking forward to joining in! I can't wait to do this!!! Cant wait to do this. Excited to celebrate my Savior's birth this way! What a blessing! That sounds very interesting! Do you write from which passage the Bible verses come from for that somebody who don't speak english as first language can find it in his own language? The Christmas story verses all have links to BibleGateway so that people can use their own favourite version. I hope that this will help you to access a German version too. I think that will help, thank you! Wow, this sounds wonderful. I am excited to be part of this adventure. Sounds awesome. Am I understanding correctly that the next step is to follow this blog? Oops...I don't see a place to follow the blog? Sorry...just found it at the bottom...too excited, I guess!